Abandoned junk to some, the rusty old steel shells of vehicles are treasures to others, holding memories of a bygone era, or the promise of a pristinely restored, radically customized automobile. Automotive photographer Will Shiers has captured these dreams on film for over ten years, and this volume collects his images between two covers for the first time. Here are the beautiful husks Shiers has found in the United States fields and barns, shops, and salvage yards across States. Divided into five categories—General Motors, Ford, Chrysler, Independents, and Special Vehicles—these wrecks and relics from 1910 to the 1970s come equipped with all the relevant information: history, model, location. 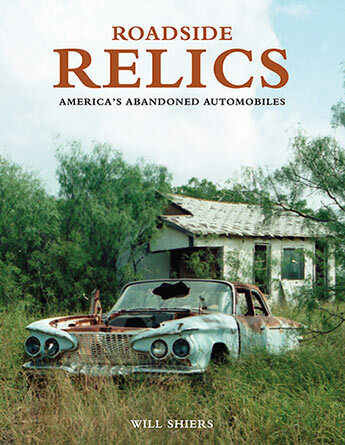 The most comprehensive and beautifully photographed collection of abandoned cars ever published, this volume preserves for all time the exquisite skeletons of American automotive might. Will Shiers is an automotive photojournalist residing in the United Kingdom. Shiers has had several thousand articles and photographs published in automotive magazines, and he has supplied images of abandoned American cars to Classic American magazine for the last decade. He is currently the technical editor at Motor Transport newspaper.